Please enjoy this guest post from Alison Wilkins. Located two hours north of Phoenix and two hours south of the Grand Canyon, the town of Sedona is a breathtaking beauty. Red rock formations in curious shapes reach towards the sky (Snoopy Rock, the Coffee Pot, and Bell Rock are a few). Hiking trails abound, and if you prefer to ride rather than walk, there are Jeep tours available or Jeeps and ATVs for rent. For the adventurous who want an aerial view, helicopter, small plane, and balloon rides can be arranged. When the stars come out, bundle up warmly and join a star-gazing group with a guide. A trolley tour around the town gives a quick orientation to the area. You’ll catach a glimpse of the home now owned by a former Doublemint twin but was formerly in Lucille Ball’s family (spot the Lucille mannequin on the balcony). Sedona is an art lover’s dream, with numerous galleries and shops featuring interesting sculptures, paintings, and jewelry. Turquoise is popular here, along with Native American pottery (the Navajo Nation is nearby) and Southwestern art. The prices can vary a lot between the stores, so if you’re looking for a souvenir, compare a few different stores. Garland’s Navajo Rugs is not to be missed, for their large rug collection and so much more. They have leather furniture incorporating the rugs, turquoise jewelry and many forms of Native American art. See the amazing Chapel of the Holy Cross via the trolley, since they will drop you off at the entrance and parking won’t be a problem. 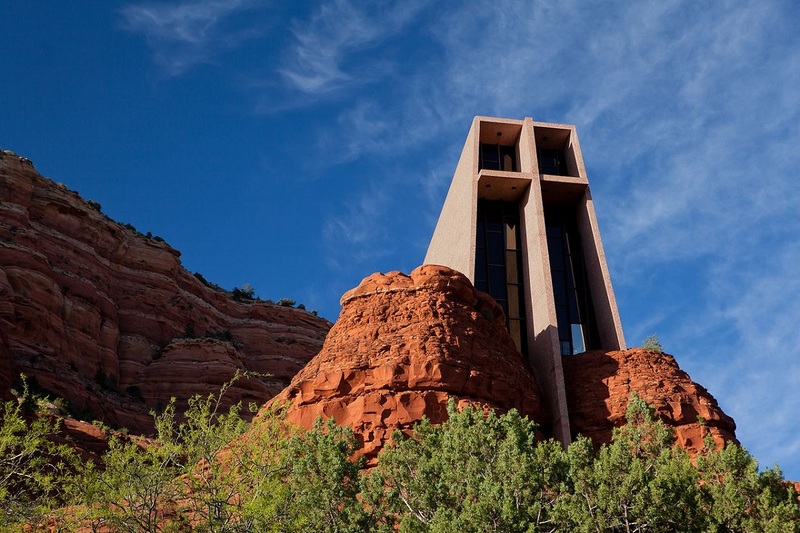 This chapel was built on the red rocks and is used for services, and is open to the public for free. 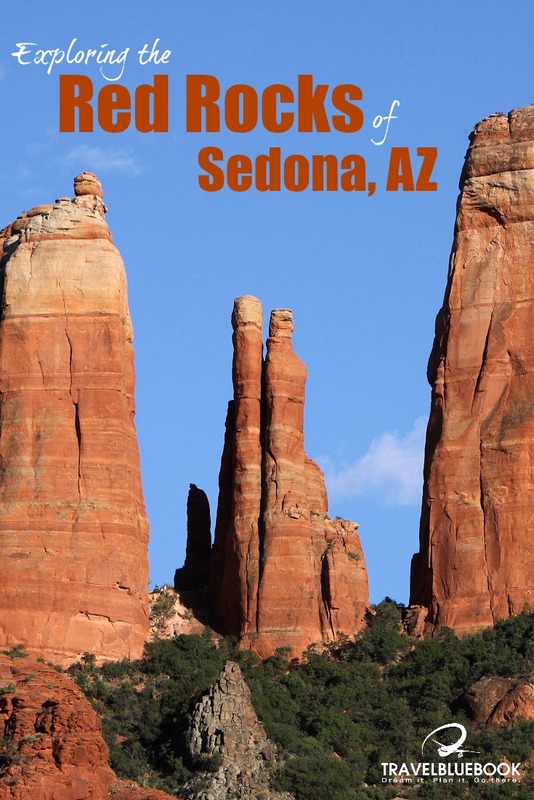 Sedona has an abundance of motels and inns, and most receive high customer ratings. Most are privately owned, but there are also several chains, including a Hampton Inn, two Best Westerns, and both a Hyatt and Hilton resort. If you do “travel hacking” the Hampton Inn will work for you, but the Hyatt is a time share that doesn’t accept reservations for free bonus nights. The restaurant offerings range from Southwestern, to steak, to Italian and there is something for everyone’s preference. The Silver Saddle at the Cowboy Club in Uptown Sedona serves rattlesnake, buffalo, and cactus fries, and has plenty of character. They have outdoor seating that makes for good people watching plus a view of the red rocks. The Javelina Cantina serves Mexican food; try the prickly pear margarita if you go. Speaking of prickly pears, they are a local specialty that you will find in mixed drinks, candies, and sauces. While you’re that close to the Grand Canyon, don’t miss it! Take 89A north out of Sedona, towards Flagstaff. The road is very curvy, with beautiful views of Oak Creek Canyon. Get going early in the morning and you can visit the Grand Canyon in a day. The National Geographic Visitors Center is on the way, and you can watch an IMAX movie about the Grand Canyon, buy a snack, and book a Pink Jeep tour if you want a guide. You can also take a shuttle bus tour from Sedona, with Great West tours, and I recommend you do this on your first visit there, for the wealth of information the guide will share with you. If you’re not on a tour, you will pay an entrance fee per vehicle at the gate to the Grand Canyon, and they’ll provide you with maps. The park has several free shuttle bus routes you can use to get to various viewing points, and they have gift shops, and several dining options including a food court. 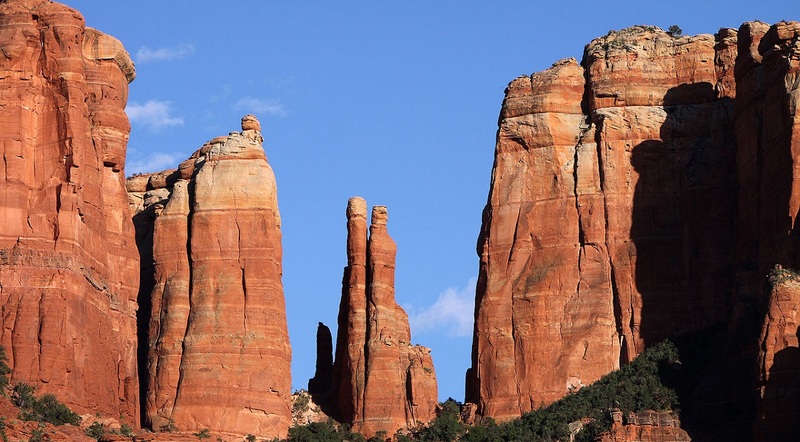 Visiting Sedona will bring you closer to nature and the scenery is truly awe-inspiring. It’s one place you definitely don’t want to miss. Alison Wilkins is a southern mom and licensed clinical social worker. She is crazy about travel and loves the process of planning trips, especially now that she has discovered travel rewards. In her free time she also loves reading, especially travel and personal finance blogs.